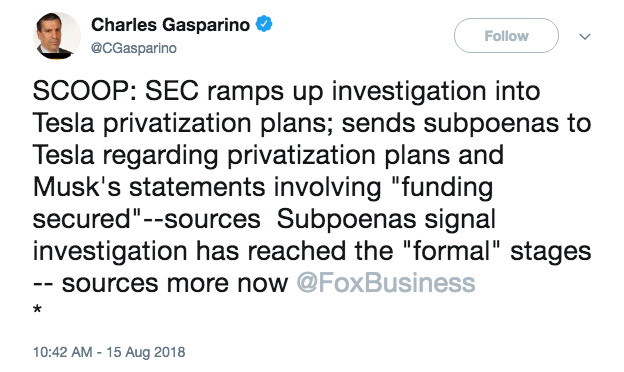 Fox Business reported Wednesday that the US’ top equities regulator, the Securities and Exchange Commission, had issues subpoenas to Tesla regarding its privatization plans and Musk’s “funding secured” tweet. 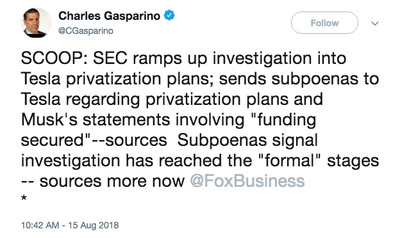 Reporter Charles Gasparino said the investigation – which was first reported on by the Wall Street Journal last week and confirmed by Bloomberg – had reached “formal” stages. 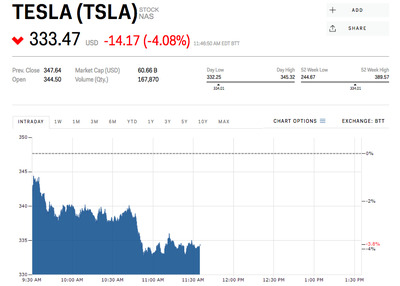 Further complicating Tesla’s situation were subsequent tweets from Musk, saying he was excited to work with Goldman Sachs and the private equity firm Silver Lake on the transaction. However, Bloomberg reported that no formal agreement had been signed between the firms as of Tuesday. Goldman Sachs declined to comment when asked by Business Insider if it had been hired by Musk or Tesla. 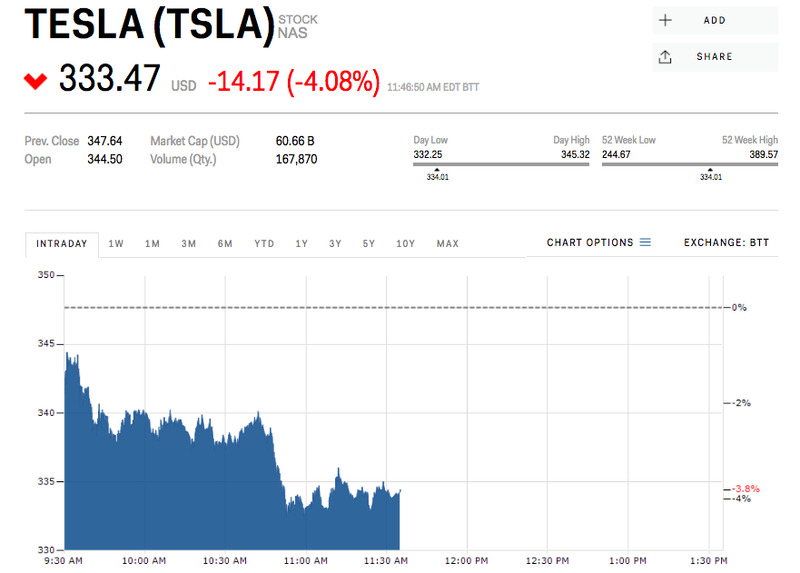 Tesla initially skyrocketed to a new record high of $US389.57 shortly after the announcement last week, but has since given up all of its gains and is now trading around $US333 – 26% below the $US420 price laid out by Musk.